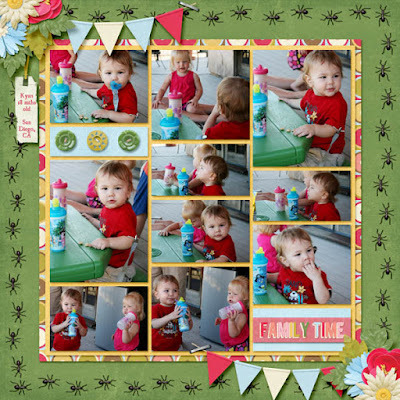 Scraps N Pieces has 5 brand new Quickpage (QP) packs for you this week. They are half price along with the rest of their store through the 15th, so HURRY! 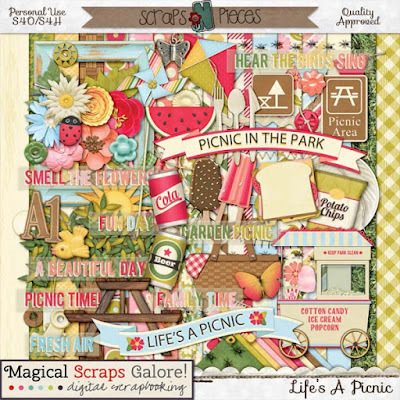 Marina of Magical Scraps Galore has an adorable new kit called Life's a Picnic. It's available in all three of her stores at 30% off - Scraps N Pieces, GingerScraps, and Gotta Pixel.